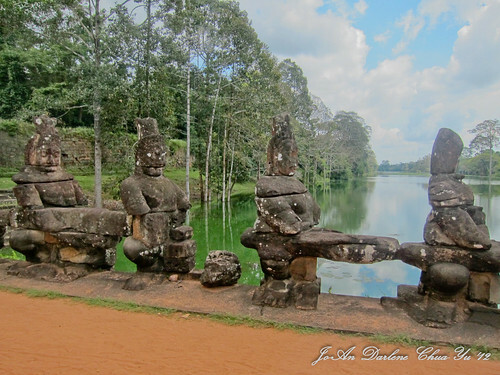 We stopped by Angkor Thom, formerly the capital of Cambodia, for a short toilet break and to change our soaked shirts. 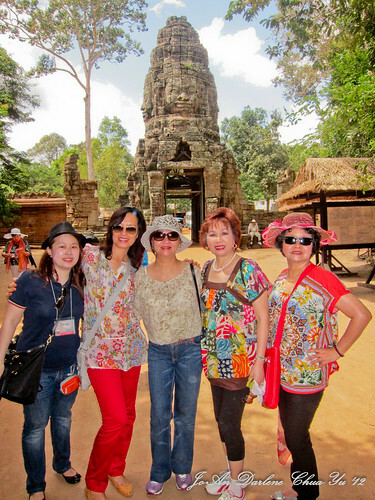 I brought an extra shirt with me knowing that I’d be drenched in sweat in Angkor Wat. 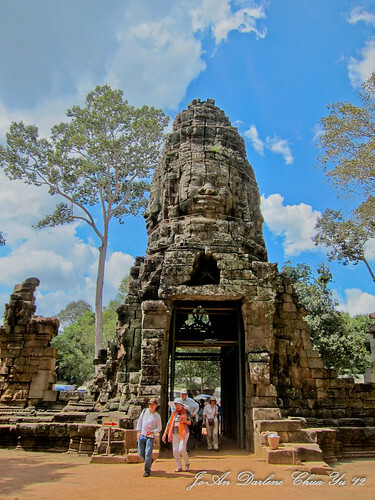 The entry to Angkor Thom is a narrow passage that can only fit 1 bus. 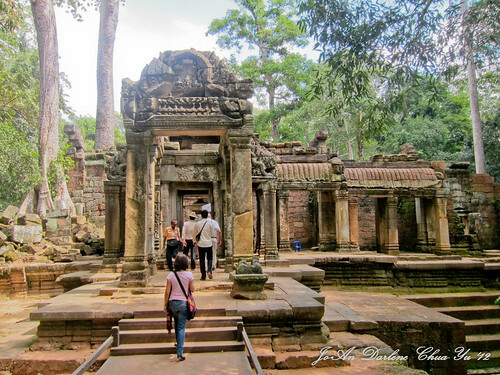 Hence, entering and exiting Angkor Thom would require both ways taking turns. The pathway was also lined with some of these statues both with and without heads on (as some were stolen and sold as antiques). 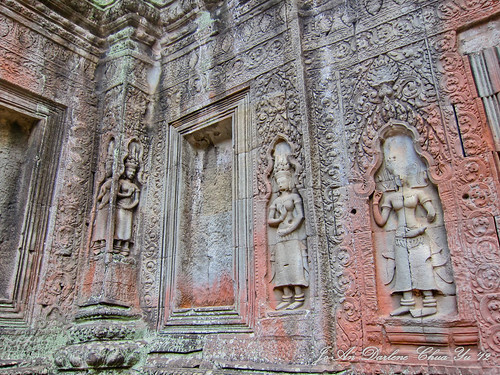 Angkor Thom is also abundant with various pagodas which unfortunately most were being renovated because they’ve been severely damaged. 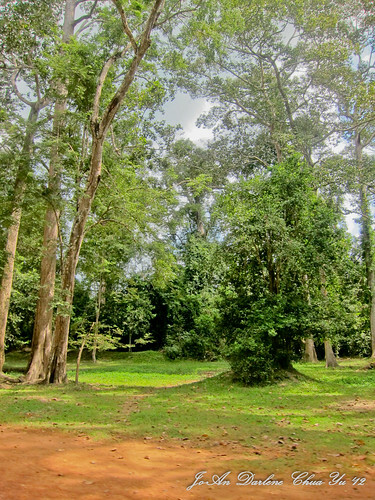 The lush greens and the jungle ahead gives you an idea of what this place looks like in its heydays. 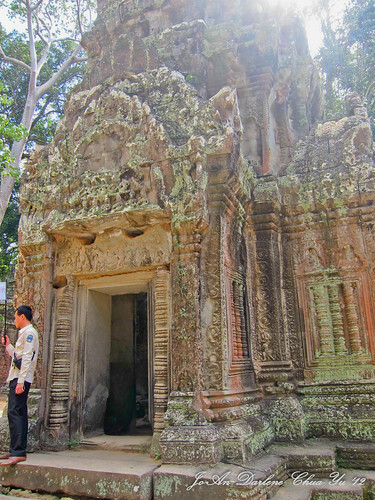 After a short break, we proceeded to Ta Prohm, site where The Tomb Raider movie starring Angelina Jolie was shot. 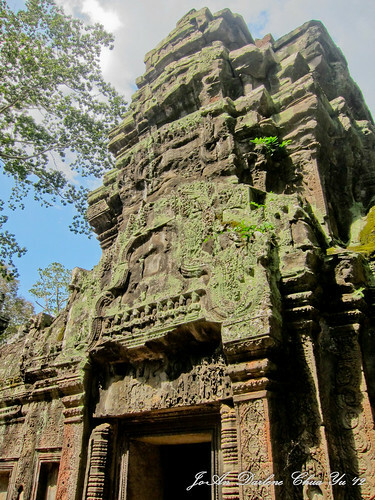 The entry way to Ta Prohm was also a small structure whose rock formations depicted the head of a buddha. 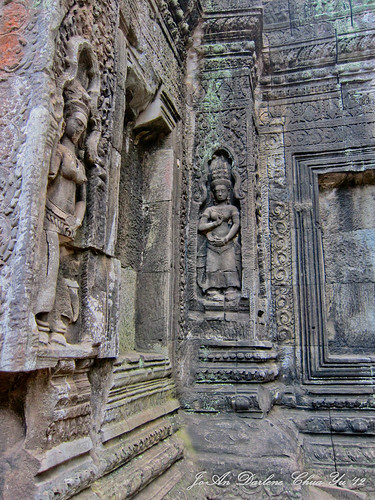 Ta Prohm is rather dilapidated. However, the trees that have survived make for an interesting site to see. 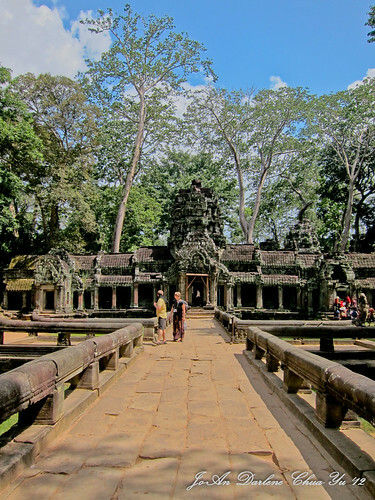 Likewise, as you enter deeper into Ta Prohm, you can also see several other smaller pagodas inside. 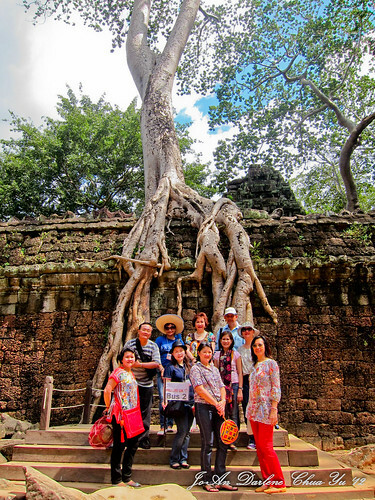 We took a group shot of our bus 2 group in one of the oldest trees in Ta Prohm. 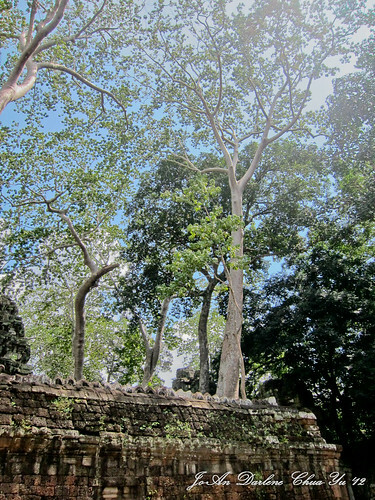 As we walked deeper into the main pagoda, we eventually ended up in this famous tree and entry way where the Tomb Raider movie was shot. Unfortunately, you can’t get into this entry way. A closer look at the entry way and why it appealed to the producers of the movie. Very rustic. 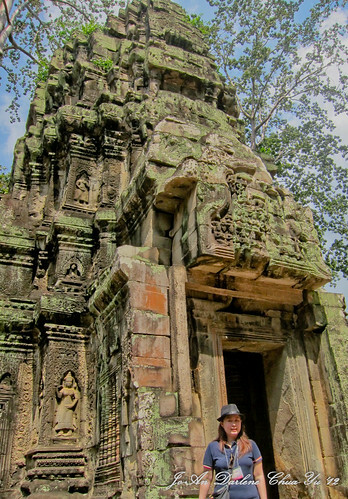 Very Indiana Jonesy type. 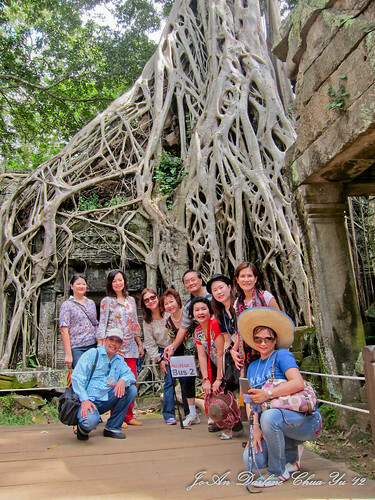 Ta Prohm was our last tourist stop. We were all famished and had a hearty lunch in a hotel near ours. The next itinerary was shopping at the Old Market. I decided that I wanted to relax at the hotel before our Awarding Ceremony at 7PM so I didn’t join the group. Next post? 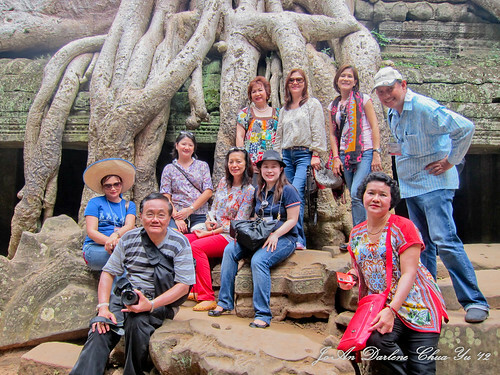 Food in Siem Reap and Thailand.